Mr. James Washington Thomas "J.T.," son of the late Geneva Thomas and Robert Thomas of Princeton, New Jersey was born March 19, 1946 in Long Branch, New Jersey. J.T. attended Red Bank Regional High School where he graduated with honors. At an early age he became a Masonry (construction worker). James W. Thomas was family oriented and would give his life for his children and family. In 1969 James Thomas married his first wife the late Gayle W. Forehand and had 4 children. 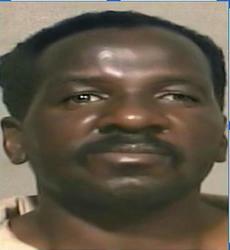 He then divorced and re-married Gloria Cooper with whom he had 4 children. James Thomas made sure that all of his children were raised together since he wouldn't have had it any other way. James Washington Thomas quietly departed this life on Sunday November 25, 2018 at 5:15 am at Eastern Pines Convalescent Center in Atlantic City. James was preceded in death by his sister Ann Jennings, of New Jersey, Dolly Thomas of New Jersey and Robert Thomas Jr. of New Jersey. His beautiful life will forever be cherished in the lives of his children Kisha Thomas Torrence of New York, Tasha Thomas of New York, Natay Thomas of New York, Lisa McKoy of North Carolina, James Thomas Jr., Tykeem Thomas, Furman Brown of New York; 11 grandchildren and 9 great grandchildren; devoted nieces and nephews who were like his own Vernon Thomas, Nicole Thomas, Monique Miller, Kent Thomas, Rashon Thomas and Kevin Norwood Jr. (deceased) and a host of cousins and friends.